This table is a real showstopper, whether you order it as the coffee table, side table or use them both in your room to create a cohesive look with lots of visual impact. 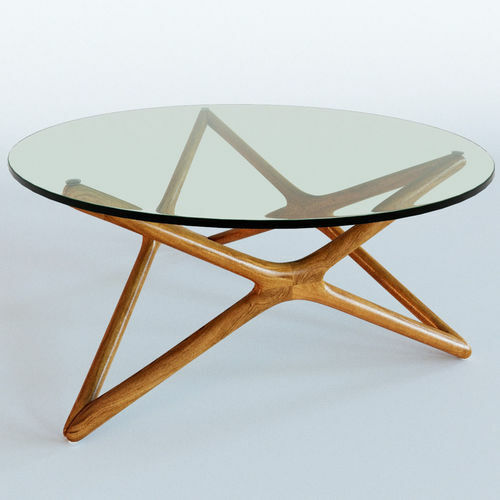 The base is solid hardwood, crafted in a three-sided diamond shape. The top is tempered glass. The side tables have 10 mm thick glass (about 4/10) and the coffee table has 12 mm thick glass (about ) for extra strength and support. Each is crafted to the highest standards and is sturdy as well as artistic in form and function. Construction: -Solid hardwood structure and 12mm tempered glass.